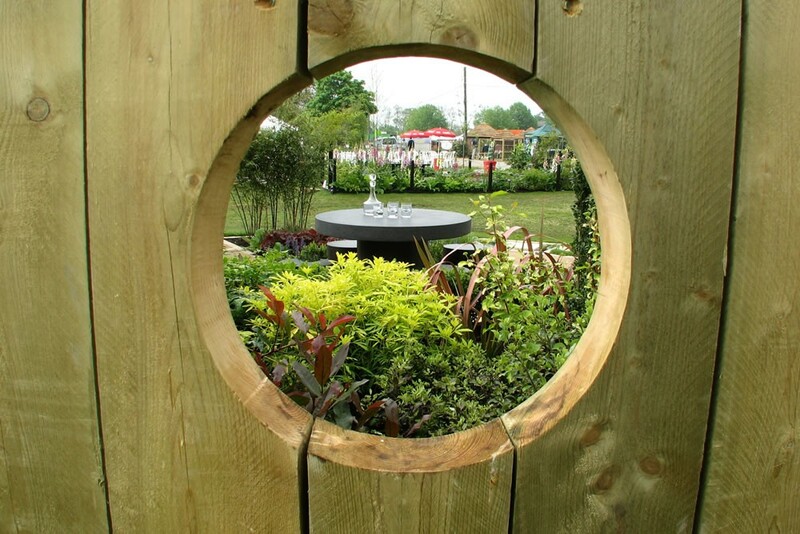 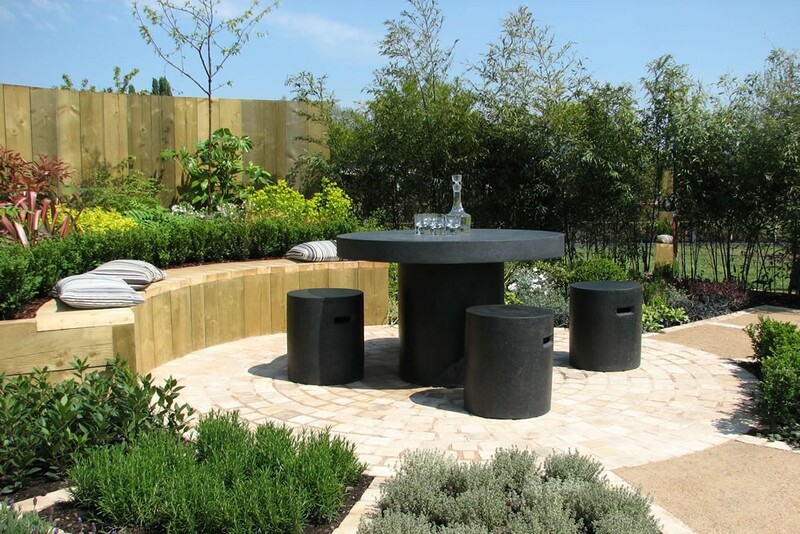 This show garden demonstrates how a strong cohesive design can bring a range of elements into a small space. 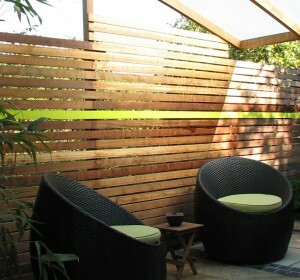 Timber raised beds double as seating to increase useable patio area, the timber and bamboos also provide screening. 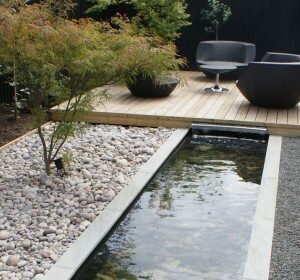 The water feature and mirrored sculpture add life and movement to the space. 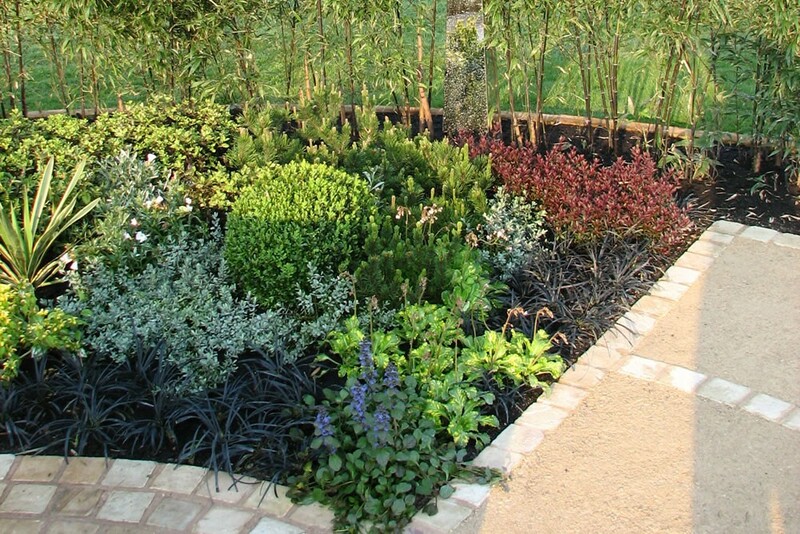 The planting provides interest and colour throughout the year, including a herb garden. 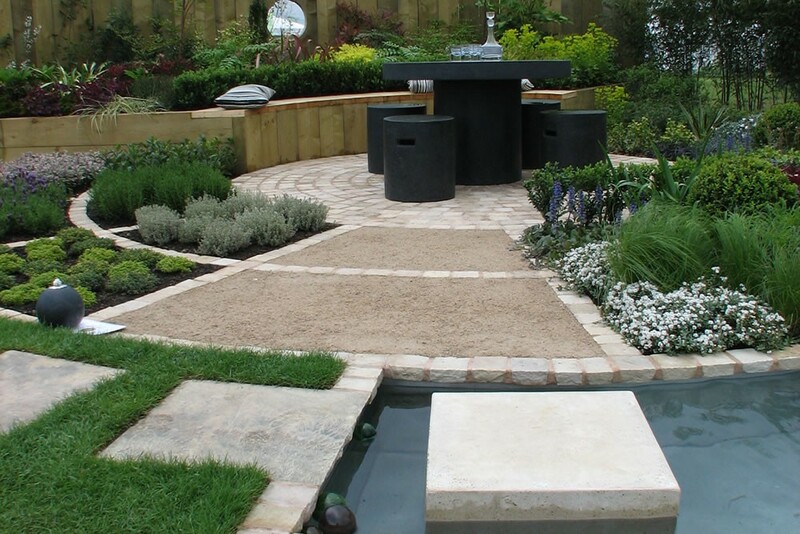 Softwood sleepers, sandstone setts, self binding gravel, Terrazzo furniture, stainless steel sculpture and water feature trough. 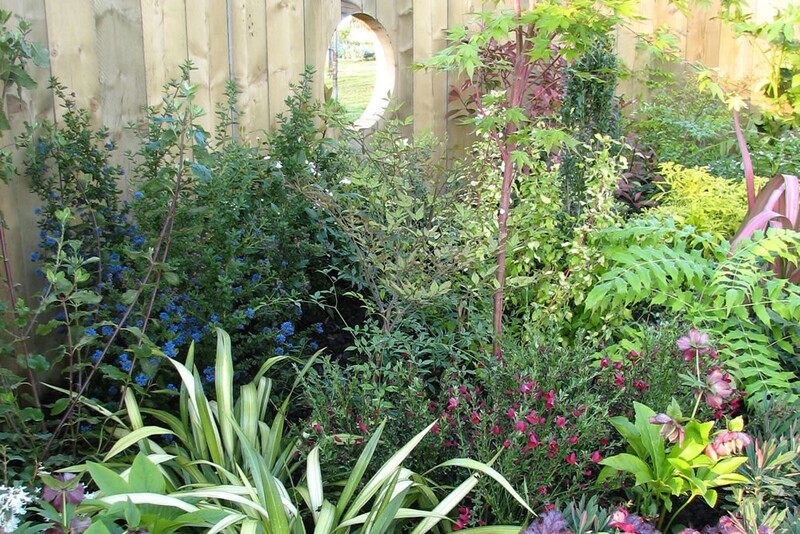 Phyllostachys nigra (Black stemmed bamboo) – excellent evergreen screen, moves with wind Helleborus orientalis – strong flowers late winter to early summer, good evergreen foliage Acer ‘sango kaku’ – great colouring on stems with light green foliage Nandina domestica (Sacred bamboo) Evergreen, changes colour through the seasons, with white flowers and red berries.